Sui Dhaaga Review: 50 Thoughts I Had While Watching This Made In India Love Story! What does it take to become an entrepreneur, especially, when you are starting from scratch? 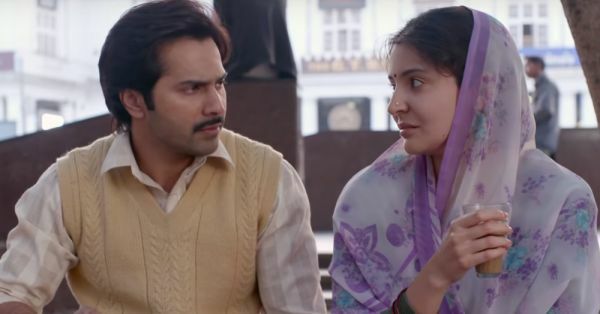 Sharat Katariya's Sui Dhaaga digs deep into the struggle of a village boy, Mauji (Varun Dhawan), who is encouraged by his wife, Mamta (Anushka Sharma), to explore his talent of tailoring. The film is about the innocent and hardworking village couple who ends up trusting a businesswoman who is trying to make big in the fashion industry. Sui Dhaaga addresses a serious issue of the fashion industry and of a typical village family with enough humour for you to stay hooked till the end. Anushka Sharma and Varun Dhawan have beautifully captured each and every moment of Mamta and Mauji's life (without any unpleasant accent). It's a story about true love that stands by you no matter what. Here are a few thoughts I had while watching Mamta and Mauji fighting for their dignity in the mean, mean world. 1. Mauji's 'Sab Badhiya Hai...' attitude is brilliant. 2. Did Mauji's mother just give him a thandi roti to eat on purpose? Not cool. 3. Mauji travels by cycle, then train and then cycle again to get to work every day. Inspiring. 4. Mauji is probably the sweetest man I have ever seen - he's selflessly helping the dealer make more money. 5. Watching Mauji's father crying while seeing a daily soap is like looking at my grandma while she watches someone die in an Ekta Kapoor show. 6. Aww... he's such a great husband. He's fixing his wife, Mamta's blouse. 7. Anushka Sharma looks so authentic as Mamta, I almost forgot she's married to Virat Kohli and has a million dollar business in real life. 8. Oooo... Mamta is unhappy with the way Mauji is treated at work. 9. He plays Tommy for his boss's son. So rude. No wonder Mamta is upset, disgusted and now she's crying. 10. I am so glad that Mauji finally gave it off to his boss's son, he deserved it. 11. Anushka looks like the cutest wife ever while saying "roz doggy banate hai kya aapko." 12. Mauji wears a coat to work, how cool! 13. I just noticed that Mamta has been wearing the same lavender saree for three days. 14. Oh boy... Mauji's mom fell in the kitchen and she's still not leaving the patila in her hand. 15. I can't believe Mamta quietly carried that achar ka jar from home to hospital. She's so sweet, smart and caring. 16. Okay, by now I have seen enough USHA in this film. 17. Mauji's mother might be the first wife to ask her husband to stop drinking milk and start drinking alcohol. 18. Once again, Mamta is way too smart to be a housewife. 19. Mauji and his cobbler buddy have named all the Kabootars, how cute! 20. Mamta really loves her lavender saree, she wore it again! 21. Aww... Mauji and Mamta made a pretty Muslin maxi for Mauji's mother. 22. Mamta, the designer and Mauji, the tailor, perfect couple! 23. Mauji got some business from the hospital, that's a good start! 24. Mamta's marketing strategies are commendable, told you she was brilliant. 25. Oops, that's a longgggggg line for a sewing machine. 27. Oh my God, Mauji's number is here, where is he? They've worked so hard for this moment. 29. Mamta is the best support system for Mauji. 30. Yay! Mamta and Mauji managed to serve their customers. 31. Guddu is really weird and his laugh is pure evil. Not getting good vibes from him. 32. My goodness, Guddu's car door is epic. 33. I can't stop wondering how innocent Mamta and Mauji are. 34. Hawww... Guddu took the machine. They worked so hard to get it. I smell trouble. 35. Oh great, they finally got a new water motor for their house. 36. Mamta isn't happy with the new job. Again, she's too smart. 37. "Padhe likho ne hoshiyaari krli hamare saath," makes sense. 38. I knew Guddu was not a good person. 39. No worries, Mamta and Mauji have been through worse, they'll figure this out. 40. Mamta knows the real value of her husband! 41. "Aage aage Mauji bhaiya, peeche peeche poonch. 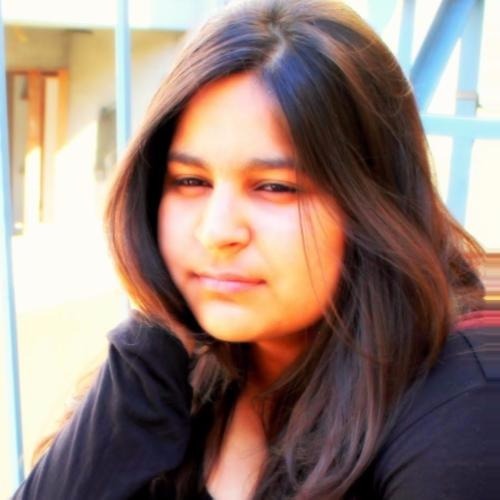 Badhte jaye Mauji bhaiya, ghat ti jaye pooch," love the riddle! 42. Now that's a clap-worthy moment, Mauji's father is finally supporting Mauji and Mamta. 43. Oh my God, Mamta knows the exact way to get men's support through their wives. I'm gonna say it again. She's brilliant! 44. Mauji's father is a pro at handling handloom machines, can't believe he hid his talent for so long! 45. The brand Sui Dhaaga got real people on the ramp. Awesome! 46. Mauji and Mamta's entry on the ramp is a sight for the sore eyes! 47. How sweet, Mauji's friends are really enjoying the after party. 48. For the first time, Mauji's father is publicly appreciating him and his wife. Yes, now I can cry. 50. Happiness is... Mamta and Mauji's relationship! This Mad(e)... in India love story, Sui Dhaaga is certainly worth watching. It has the struggle, the passion, emotions and lots of punches and characters that'll make you laugh.